Michael Dunn, 47, listening to the jury's verdict Wednesday, Oct. 1, 2014. A jury has found a Florida man guilty of first-degree murder for fatally shooting a Georgia teenager after an argument over loud music outside a Jacksonville convenience store. 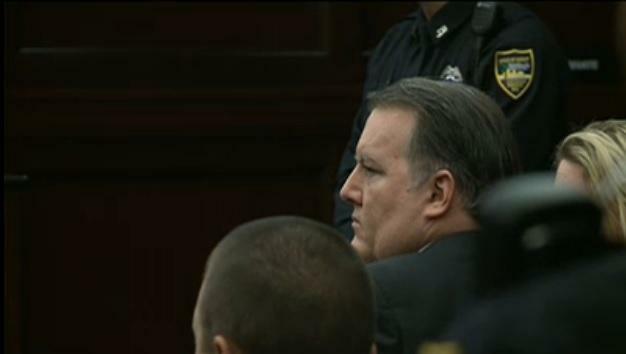 After more than five hours of deliberations Wednesday, the jury reached its verdict in the re-trial of Michael Dunn. Jurors were deadlocked in Dunn’s first trial on the first degree murder count. The judge declared a mistrial and the case was retried. While Dunn testified he felt his life was in danger, prosecutors argued Dunn shot with the intent to kill when he fired 10 times into an SUV carrying 17-year-old Jordan Davis and his three friends in 2012. And, following the verdict, Jacksonville State Attorney Angela Corey says she feels justice was served. Dunn had already faced at least 60 years in prison for three counts of attempted second degree murder for each of the passengers not killed. The first jury convicted Dunn of those charges in February. 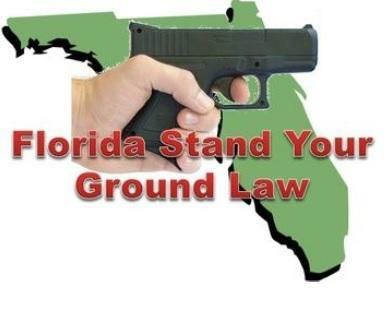 With No More Avenues For Repeal, What's Next For Florida's Stand Your Ground? After a legislative bid to repeal Florida’s Stand Your Ground law failed this week, the focus now turns to whether opponents of the existing law will now throw their weight behind a proposal aimed at tweaking the law. Thursday’s five-hour hearing saw each side literally going back and forth between the pros and cons of Stand Your Ground. Law enforcement agencies opposed the repeal, including Okaloosa County Sheriff Larry Ashley. The family of an unarmed Jacksonville teenager killed after a dispute about loud music is calling for a repeal of the controversial Stand Your Ground law. Jordan Davis’s shooting death happened in November, just as the state task force convened to examine Stand Your Ground was issuing its report. At at a press conference in Jacksonville on Friday, the Florida president of the Southern Christian Leadership Conference, the Rev. R.L. Gundy, called for a repeal of Stand Your Ground.